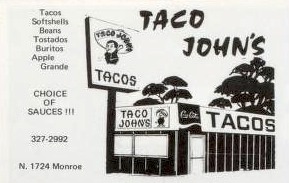 Tacos, soft shells, beans, tostados, burritos, apple grande, choice of sauces! 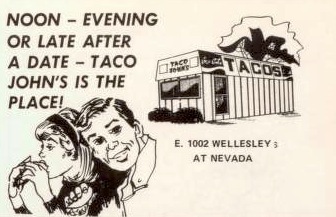 Noon - evening or late after a date - Taco John's is the place! E. 1002 Wellesley at Nevada.